Industrial cookers had been around since 1890 but the first practical household electric cooker was designed in 1905 by David Curle Smith, an electrical engineer from Western Australia. This cooker had an oven, a grill above and electric hobs on the top. Later copies and improvements also added a thermostat to control the heat output. Only very wealthy households had electricity at this time. By 1919, Belling and Company were producing electric ovens in Enfield, London. One of the most widely distributed electric cookers was the Creda Electric Cooker, manufactured by the Simplex Electrical Co. Ltd in Birmingham. They started manufacture in 1933 and models were still available in the 1950's (Shown below). They were made of galvanised cast iron and fitted with a patented Creda Automatic Oven and Thermostat. 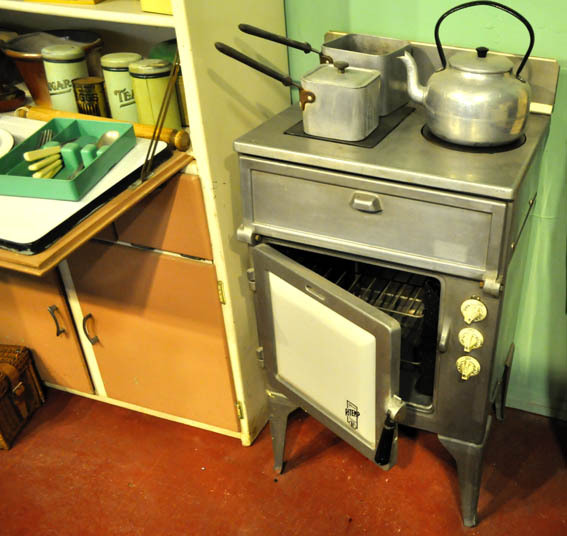 Creda electric oven, Newcastle under Lyme Museum 2011. Modern electric ovens are usually made of plate steel which is enamelled, making them light and functional. 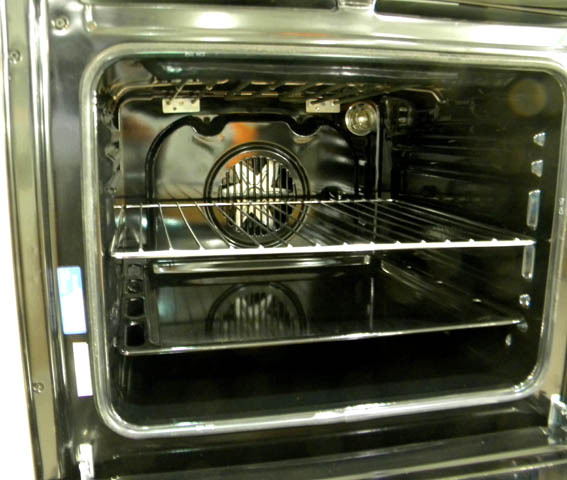 The basic electric oven has a heating element in the wall and takes about 10 minutes to heat up to temperature. Like all radiant ovens, the top tends to be hotter than the bottom and there can be localised hot spots in the body of the appliance. The fan oven gets around this problem by heating the air inside the oven and circulate it by means of an electric fan. These ovens heat up very quickly in a couple of minutes and have a much more even internal temperature range across the oven. 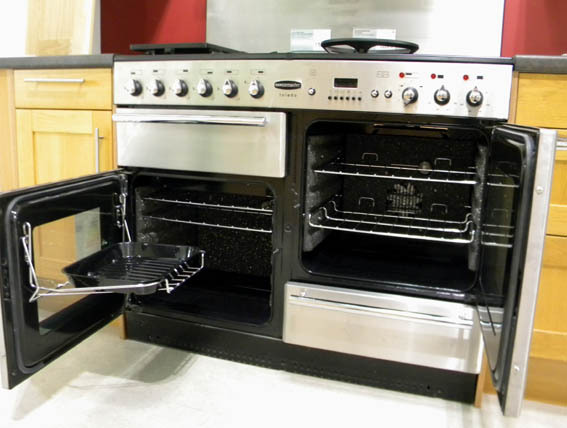 Some modern electric ranges have two ovens, one being a conventional oven and the other being a fan oven. There is also an option to have an electric oven with a gas hob. As a rule of thumb, fan ovens will bake bread at temperatures that are about 10ºC cooler than those used in a conventional oven.